Developing an effective working relationship with lawmakers is imperative for legislative success. Legislators need to understand that conservation districts are the local agency responsible for the delivery of many state programs. 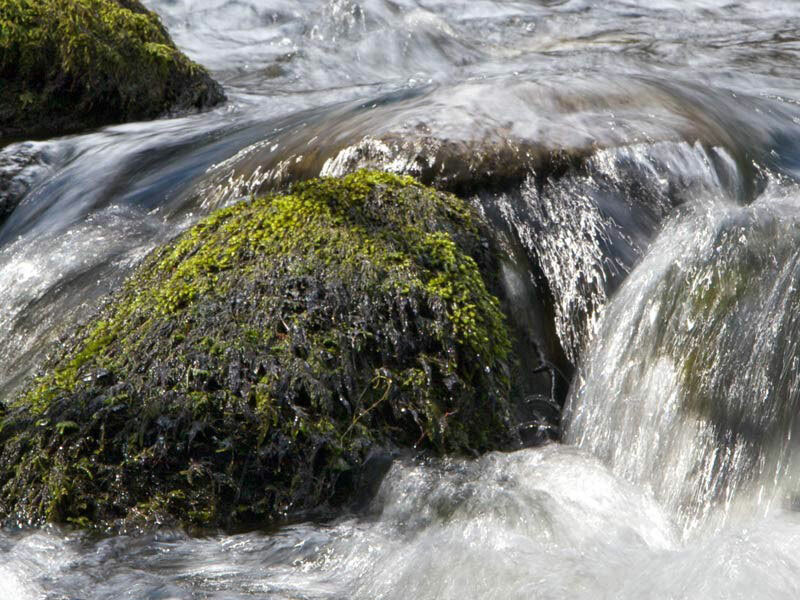 Whether it is technical assistance to landowners, approval of erosion and sedimentation plans, or writing nutrient management plans, districts are available for assistance with environmental regulations. Consequently, the PACD legislative program focuses on educating elected leaders about the programs and projects spearheaded by conservation districts. Conservation districts should contact legislators several times a year through individual meetings, an information session or a project tour. Districts should also send correspondence or make phone calls to their legislator’s district offices to discuss specific legislation or local concerns. 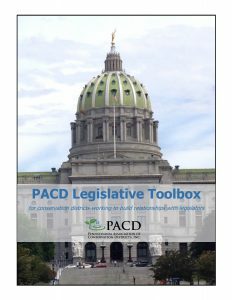 The PACD legislative toolbox provides information designed to encourage a meaningful relationship with elected leaders. The toolbox includes tips on meeting with legislators, hosting a legislative event, a sample invitation and press release, an explanation of the Pennsylvania budget process, information on how a bill becomes a law, advice on building a support base, and working with your local media. Click on the links below to view each topic or click here to download an E-book containing all the information in one PDF document. List of ideas conservation districts can implement to build effective relationships with legislators. Step-by-Step guide for conservation districts planning a legislative event. Advice on gaining support for conservation district goals by creating coalitions. A how-to guide for getting your message out to local press. Primer on how Pennsylvania’s budget is passed. Details the political process involved in law-making.